Why did I become a Brother? A very Merry Christmas to all!! "King of Kings + Lord of Lords..." - Silent monks singing Handel's "Halleluiah"
This is great fun. Done by US High School kids. A mash-up of Dangerous Minds and Harry Potter. This isn't a real movie trailer, but it should be. Very clever. Well, today is the last day of my first term back teaching at my old school and living back in the town where I grew up (that I left 22 years ago). It's been a strange but very fulfilling experience, at times quite surreal. A lovely side benefit has been making contact with old family friends, people who knew my parents or my brothers and sisters and even old friends from my primary school (the latter via a reunion we had 10 days ago). 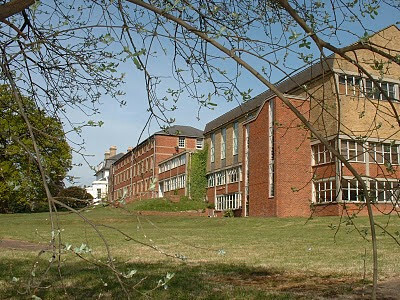 St. Mary's College with our community house (known as the White House) at the far end. My sister Mona also has a blog which she uses to mainly write reflections and testimonies relating to her life dealing with the suicide of of her eldest son nearly 3 years ago. "A small act of kindness can make such a difference, even to someone who doesn’t seem to be in need of encouragement. Because maybe they are the ones who suffer in a private darkness and need desparately to experience a little piece of hope that the unexpected kindness of another human being can provide." This is a thought-provoking, well written sketch (or skit as they say in the States) that relates to a key idea about vocation: following God's call, whatever that might be, requires a stripping away of "self", a handing over of every aspect of my life in total trust to Him who created me... and that this is never easy. But, as I say to my pupils, I truly believe that following the individual, personal call that God offers to each of us (whether it be to married life, to religious life, to the priesthood, to being a teacher, a nurse, a social worker, a fireman, a bio-chemist...) is the ONLY way to true, lasting happiness and fulfilment. 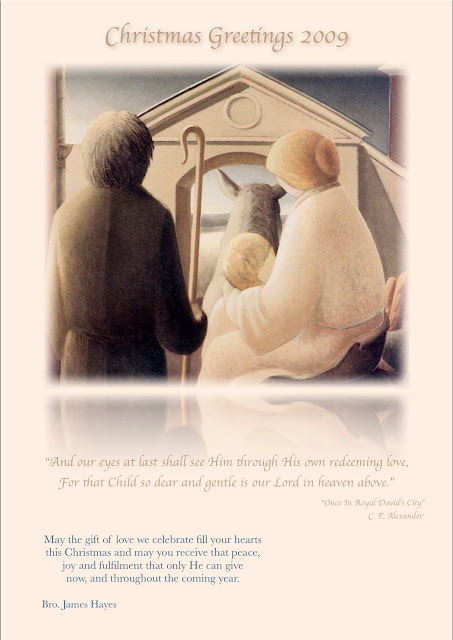 Every year on November 26th, our schools and Brothers communities worldwide celebrate the life of our congregation's founder, Jean-Marie De La Mennais, a dynamic, influential Breton (Brittany, N.W. France) priest of the 19th century who founded our congregation in 1819 together with another Breton priest, Gabriel Deshayes. 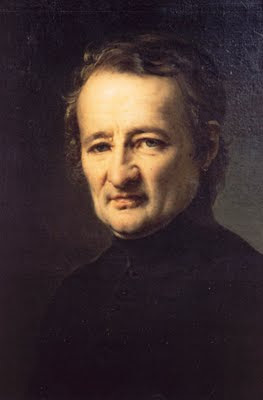 Jean-Marie De La Mennais died on December 26th, 1860. But due to that date's proximity to Christmas, the celebration of the anniversary of his death was moved to November 26th instead. In many cases, this day will be preceded in our schools by a week of celebratory activities of one kind or another (Masses, school trips, activity days, sports events, etc...). In our case here in Southampton we had a Founder's Mass, but decided to postpone the Founder's Week activities until the summer term, because of the proximity of the winter exams (including mock GCSEs and some actual GCSE modules). "The Last Days of Judas Iscariot"